Charles’ son, Steve, bought the business in 1980. Steve graduated in 1970 from MSU, also with a forestry degree. He was the first to identify Oak Wilt and the Gypsy Moth infestation in Monroe County. 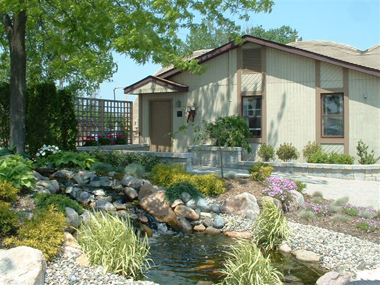 He expanded services to add large-tree transplanting and landscape design and construction. Throughout its years in business, the company has become known for its civic activities. In 1991, it donated trees and shrubs to the city of Monroe to beautify the Custer statue. In 1980, the company made the national news by planting the “Hinkle Tree” at the U.S. Open being held at the Inverness Country Club in Toledo, Ohio. It was the first time a golf course was altered while a tournament was already in progress.